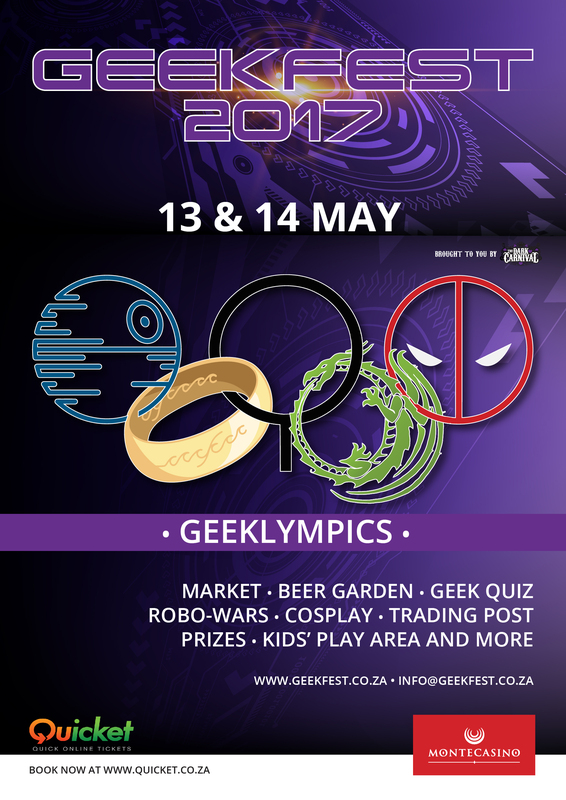 Brace yourselves Gauteng – Geekfest is BACK! Are you ready to exercise your brain mass? Best you start training…..
Tickets are R100 per day or R150 for a 2-day pass. Kids under 12 free entry! 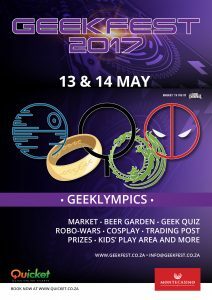 The Dark Carnival, organisers of the 5th annual GeekFest in Johannesburg, invite everyone to embrace their inner geek. In our technologically forward society, geek culture is rapidly becoming a way of life for people of all ages. Whether you’re a gamer, a cosplayer, into gadgets and technology or like to read and watch series, Geekfest has something to excite you. – Participate in the Geeklympics – Grab your team or enter solo! ….and this is only the beginning! Take a rest after browsing our stalls and kick back in the chill zone. Craft beer, refreshments and an assortment of awesome food will be available. Hosted for the first time at Montecasino, Fourways the Geek Fest team is looking forward to providing the full Geek Experience to Gauteng.